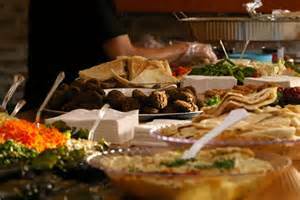 All members and friends of FCC are cordially invited to our Mediterranean-themed Maundy Thursday Dinner/Potluck on April 18 at 6:15pm. In the tradition of sharing in the feast, we will provide the Grilled Lamb. As you are able, we ask that you provide specific side dishes and desserts (see sign up for food contributions listed below). If you have any questions please reach out to Jose Ortiz at [email protected] for more details or questions. We do have a reservation capacity of 75 guests ....so sign-up NOW!!! Deb will Help as well! Will help with set up.